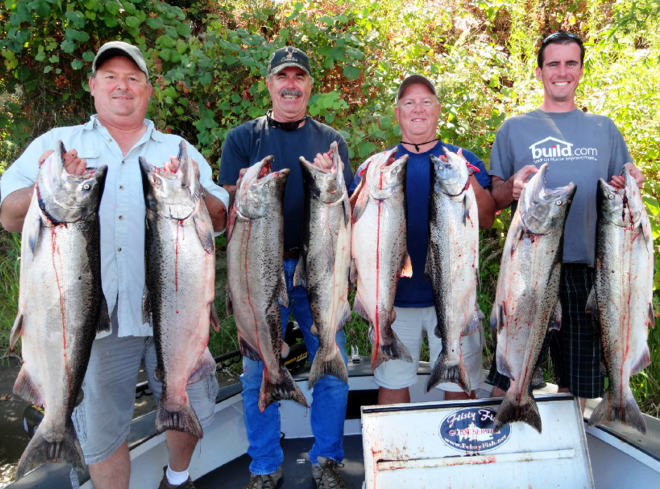 Feisty Fish Guide Service offers year-round, fully guided fishing trips on the Sacramento, Feather and Yuba rivers. I fish out of a 25′ Willie Boat Jet boat with plenty of room for up to six customers per trip. I use all the best gear, know all the right spots, and I always keep a clean and safe boat for my anglers. I have been fishing and hunting since I could walk, and take great pride in what I do. I am licensed by the United States Coast Guard and the California Department of Fish and Game to insure your safety. I am always striving to be a better fisherman through reading, testing and hands on, practical research and will do my best to share what I know with you. Whether it’s chasing Steelhead with roe or it’s tossing a fly to catch Stripers, I am your man. I love to teach people what I do best and would love to spend a day doing that with you. I fish hard and never give up. Unlike most Guide Services I don’t fish from 6am – 11am. Your day will end when you tell me it’s time to go in. Let’s hook up!